Wind farm developers, owners, industry trade bodies and companies along the length of the offshore wind supply chain will be attending. 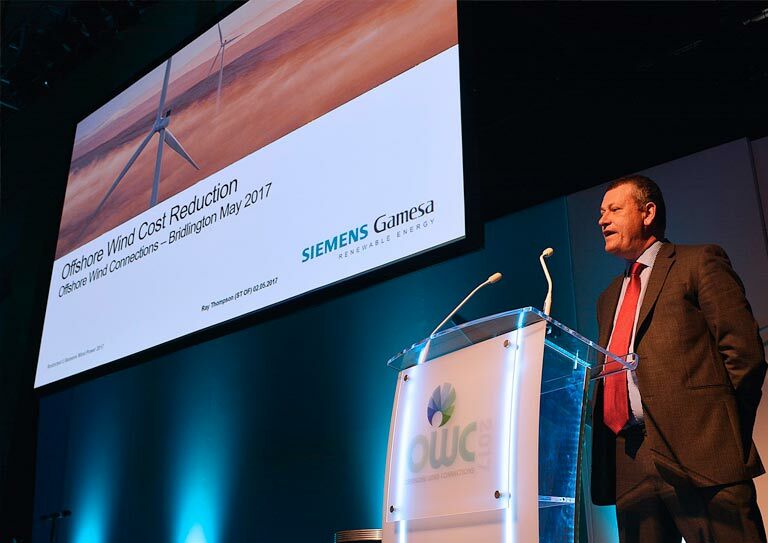 The focus of OWC2018 is on the Yorkshire and the Humber region, which is at the epicentre of the offshore wind industry, and where billions of pounds are being invested in offshore and onshore infrastructure. OWC2018 is devoted to delivering business intelligence by creating opportunities for knowledge sharing and business networking throughout the day. Opportunity to attend the RenewableUK pre-conference networking reception on April 25th. After the success of Hull 2017 City of Culture, the brand new Double Tree by Hilton located in the city centre is a very fitting setting for OWC 2018! New for 2018 will see additional activities on day one of the event including proposed site visits in the morning and in the afternoon WindMeet 1-2-1 sessions with key industry representatives.  For OWC 2018 we are introducing “WindMeet” our new 1-2-1 initiative to bring together the local supply chain with key players in the Offshore Wind industry. This is an excellent opportunity to meet developers, operators, manufacturers and service providers in the industry. Come along and meet senior industry leaders and representatives from the Humber as well as national and international delegates. This is an informal evening providing a great opportunity to network, meet old friends and develop new profitable relationships. This event is free to attend for RenewableUK/THMA members and partners as well as OWC2018 delegates. With so many industry colleagues and acquaintances around it’s a shame to call it an early night. Just pop upstairs and continue those conversations in the Double Tree by Hilton’s “The Lexington” Roof Top cocktail bar and terrace. THMA the organiser of OWC2018 is a not-for-profit, privately operated business development organisation with a growing membership of over 200 companies. Hull Yorkshire’s “Maritime City” lies upon the River Hull at its confluence with the Humber Estuary, 25 miles (40 km) inland from the North Sea with a population of 260,200 (mid-2016 est.). RenewableUK is the UK’s leading renewable energy trade association, specialising in onshore wind, offshore wind, and wave & tidal energy. Formed in 1978, they have a large established corporate membership, ranging from small independent companies to large international corporations and manufacturers. Our vision is to create a world leading offshore wind research, talent and innovation hub. The main aim of the hub is supporting the developing offshore wind sector towards sustainability, establishing it as a vibrant industry in the Humber – the UK’s Energy Estuary, for the benefit of the region and the country. Hornsea 1 will at 1.2GW be the world’s largest offshore wind farm and will be located 120km off the Yorkshire coast. Once complete, it will be enough to power 2 million homes with green electricity. A2SEA provides offshore wind transport, installation and service solutions at a wide variety of locations. They specialise in providing the offshore wind industry with safer, sustainable, and more cost-efficient operations − through know-how, seamless integration of installation and service solutions, and quality of performance. A2SEA is owned by Belgian GeoSea and operates within complex marine engineering projects. GeoSea is owned by DEME Group, a world leader in highly specialised fields of dredging, marine engineering and environmental remediation. A2SEA is headquartered in Fredericia, Denmark, with subsidiaries in Hamburg and London as well as site offices in the UK. Panel: Under the surface of Offshore Wind. Offshore Wind re-powering and decommissioning opportunities – Our speaker Callum Draper will be highlighting Offshore Wind turbine re-powering and decommissioning programmes beyond their 25 year design life. Royal HaskoningDHV is a leading consultancy in the offshore wind industry, with over 15 years of experience having worked with the majority of the UK’s major offshore wind farm developers, including Statkraft, DONG, Statoil, Vattenfall, Eneco, SSE, SPR, RWE, Repsol, EDPR, EDF and Mainstream. 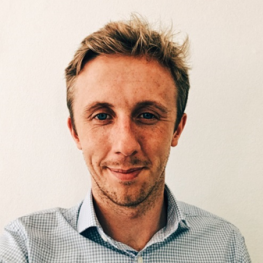 Our speaker Callum Draper will be highlighting Offshore Wind re-powering and decommissioning programmes beyond their 25 year design life. Royal HaskoningDHV provides a range of environmental, technical and engineering services to the offshore wind sector. This panel will focus on Operations & Maintenance challenges and opportunities on Round 3 Offshore Wind farms. 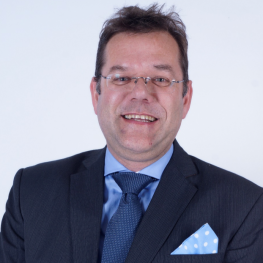 Bert de Ruiter, Commercial Manager Work Boats – Acta Marine B.V.
Mark, a seasoned Industrialist, has over 30 years experience in the Industrial/Engineering sector with significant UK, and International expertise of Strategy, Business Development, Marketing and Export. 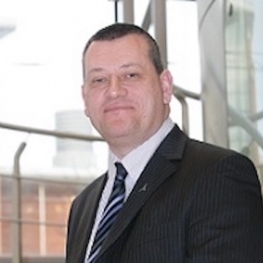 He is Vice Chair of the Maritime UK Regional Council and a member of Humber LEP Marketing Group. For the past 9 years Mark’s focus has been on the Maritime, Marine & Offshore Energy "Blue Economy" industries particularly around opportunities in the "Offshore Wind" sector. He actively promotes the region as a centre for Offshore Renewables whilst endeavouring to involve local and regional companies in the supply chain. He has grown Team Humber Marine Alliance into a dynamic self-sustaining Business Development organisation with over 200 member companies. Matt Jukes, 46, is the Chief Executive for Hull City Council, having joined the organisation in December 2013, as Chief Operating Officer. His role is to work with Elected Members to achieve the key priority for the city - improving the lives of local people. 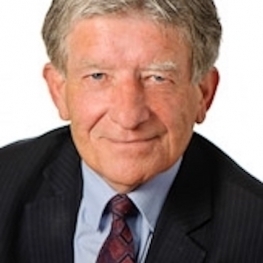 He is Chair of the Hull Place Based Board, delivering on the city’s Strategic Transformation Plan, and leads on delivery of the City Plan and the City Leadership Board. He is also on the Hull 2017 Board. Matt is responsible for the provision of all Council services and has overseen the expansion of the city’s visitor and cultural offer whilst Council finances have been reduced by nearly 60%. 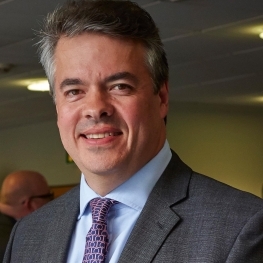 Since the launch of the City Plan in 2012, and which he initially supported as a private sector member of Hull’s City Leadership Board, he has been involved in significant inward investment in both the public and private sectors, now totalling over £3bn, which has led to the creation of over 4,000 jobs to date. Prior to this, he had over 20-years experience in the private sector, mainly in the ports and logistics business, where he worked in various roles throughout the UK for Associated British Ports (ABP), the UK's largest port operator. This culminated in 8 years as Port Director for the Ports of Hull and Goole, including overseeing Humber Estuary Services (the Humber Competent Harbour Authority). Outside of the major investment projects undertaken by Hull City Council in the last 3 years, he has been involved in many regionally significant investment and development projects including, most notably, the initial inception and subsequent progression of the "Green Port Hull" project, to develop an offshore wind turbine manufacturing and export facility for Siemens, at the Port of Hull and for which he received the Yorkshire Post "Green Champion" award in 2011. Matt obtained a First Class honours degree in Marine Studies from the University of Plymouth and, after a spell in the Royal Navy, worked for Racal Survey as a worldwide Field Surveyor. He joined ABP in 1994 and undertook various roles throughout the business before being promoted to the ABP Operational Board in 2005, as the businesses youngest ever director, as Port Director for their Short Sea Port operations (11 ports around the UK including Ayr, Troon, Fleetwood, Garston, Ipswich and Plymouth) before taking up the role in Hull and Goole in 2008. 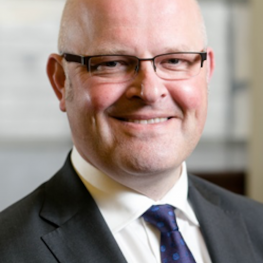 Matt is a past President of the Hull & Humber Chamber of Commerce, Industry and Shipping and was a founding member of both Hull’s City Leadership Board and the Humber Local Enterprise Partnership. Councillor Stephen Brady was elected to serve on the council in Hull in 2000, initially an opposition councillor, and became Leader of the Council in 2011. Since becoming Leader, Stephen Brady has led the City in recent years in attracting major new businesses to the City, with £3b invested since 2013, and has welcomed Siemens Gamesa as a new major employer with significant investment and creation of new jobs. In 2017 Hull became UK City of Culture, which has had a dramatic effect throughout the city, with events, concerts, exhibitions, etc. attracting people from not only the City, but far and wide. Stephen was honoured to be awarded an OBE by the Queen for his services to local government in this year’s New Years Honours List. Lorna joined the Operational Performance engineering team at the Offshore Renewable Energy Catapult in September 2016 as a Mechanical Engineer. 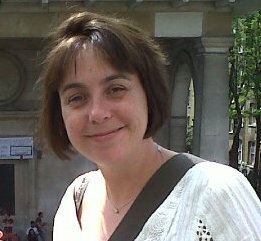 Involved in both research and design projects, Lorna comes from a background of mechanical design and project management. She has a depth of experience in the marine renewable energy industry, having previously worked with a wave energy technology developer. 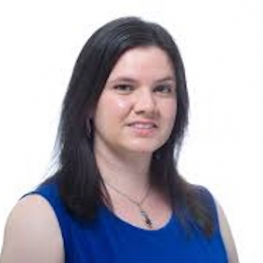 Lorna has over eight years’ experience in mechanical design engineering from a range of industries including wind, wave and tidal power development, marine lifting and handling systems, aerospace and offshore structures. 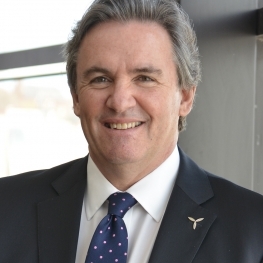 Ray Thompson is Head of Business Development for Siemens Wind Power in the UK. This varied role includes a wide range of business development, stakeholder engagement activities and supporting the development of UK supply chain content. 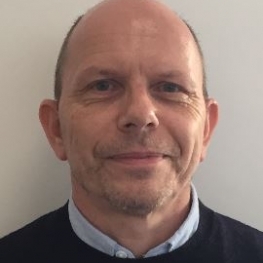 With over 30 years experience in the engineering and energy sectors, Ray has worked in transmission & distribution, fossil generation and renewables in both public and private sectors roles. 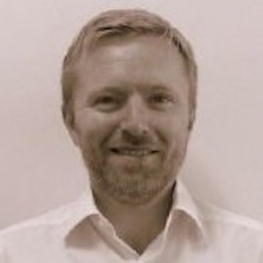 Morten Holm is Ørsted’s Head of Operations for Hornsea Project One. At 1.2GW and located 120kms from shore, it will be the largest offshore wind farm in the world when completed, followed by the even larger Hornsea Project Two. Based at the East Coast Hub in Grimsby, he is responsible for the setting up and deployment of all activities relating to the long term operations and maintenance of the project. Morten spent 20 years in the Danish Air Force before moving into the wind sector in 2007. Since then, he was worked on many wind farms in the UK and overseas for Siemens and Global Wind Service UK. Andy joined A2SEA in 2013 and is now responsible for global sales. 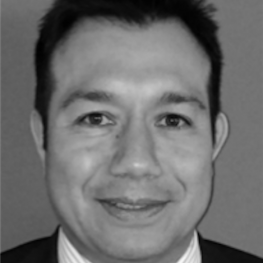 He is chartered with a Masters degree in Science and has a strong background in environmental engineering with extensive experience of technical risk assessment and management. Andy has worked in various aspects of power generation for the previous 16 years. He is working with major offshore wind clients on global projects to ensure that A2SEAs significant experience, of more than 1,600 turbines installed, brings more value to future projects. 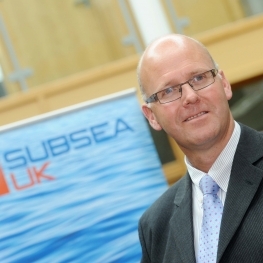 Andy is member of the board of Renewable UK and is an advisory board member of Team Humber Marine Alliance. Martin heads the Offshore Wind Investment & Asset Management business and is responsible for the development and construction of innogy SE’s entire offshore wind portfolio. Alongside this, Martin is also responsible for identifying and securing new business opportunities, both independently and with project partners and investors. 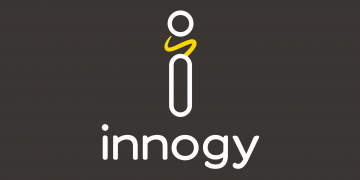 innogy SE has considerable experience of developing, constructing and operating wind farms both independently, and with project partners and investors. From its inauguration of the UK’s first commercial scale offshore windfarm, North Hoyle, in 2004, innogy SE has lead significant growth and development across the UK, Germany and Belgium, and been responsible for £multi-billion investment into the UK and European offshore industries. 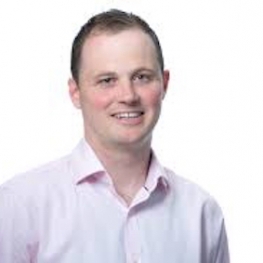 Martin joined innogy’s renewable business in 2006 and has performed various roles such as Head of UK Valuation and Head of Offshore Commercial Management. He has been involved and led upon numerous offshore activities including the financial investment decisions of both Rhyl Flats and Gwynt y Môr, the acquisition of 50% of Greater Gabbard and the introduction of shareholders on Galloper. 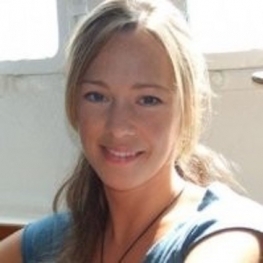 I am an Environmental Consultant within Royal HaskoningDHV’s marine and coastal development team with expertise in environmental impact assessment (EIA), marine licencing and construction environmental management. The focus of my current role is to deliver environmental inputs to marine licence and DCO applications for development planned, under construction and operational within the marine and coastal environment. My recent project experience includes licencing and planning support for maintenance dredging programmes, port expansion works, and an offshore wind farm O&M facility. Bjarne is head of the offshore wind O/M business in Semco Maritime covering Europe and initial projects in Taiwan and the US. Semco Maritime is a project and engineering company who has been working in the Offshore energy business for the last 40 years serving customers like Maersk and Hess. The company was a first mover in the offshore wind business and has built app. 20 offshore substations during the last twenty years. At the very moment we deliver the substations for Hornsea One. Based on the design and construction competence Semco Maritime is building up a service business right now starting in Germany in 2016 and now moving into the UK. Based on comprehensive offshore experience we are ready to discuss how to cost optimise offshore service activities. Besides the service portfolio Semco Maritime is doing a lot of offshore wind modifications and repairs which is natural for a new industry. Semco Maritime opened a Grimsby office in October 2017 to deliver the engineering, procurement, construction and installation of all electrical and instrumentation systems at Ørsteds three Hornsea Project One substations, the offshore rig-like superstructures in the midst of the arrays. Bert de Ruiter, Commercial Manager Work Boats - Acta Marine B.V.
Bert de Ruiter is commercial manager work boats for Acta Marine. Before joining Acta Marine in 2016 he had 30 years of international experience in (inland) shipping, marine construction, dredging & offshore contracting in different operational positions. He was involved in the construction of several offshore wind parks, working both onshore and offshore roles since the year 2000. Within Acta Marine he is responsible for providing a variety of clients with suitable resolutions to short and long-term vessel requirements and has proven to be an out-of-the-box thinker when it comes to maritime services. With a world-wide playing field his focus is on the North-Sea area. 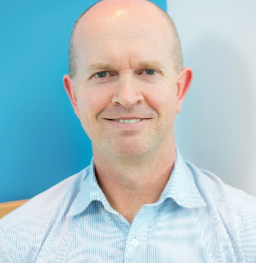 Keith Anderson is an accomplished business manager responsible for Subsea and Export Systems at Wood. A Chartered Engineer and Fellow of the IMarEST he has over 22 years postgraduate experience, including 19 years within the subsea industry. 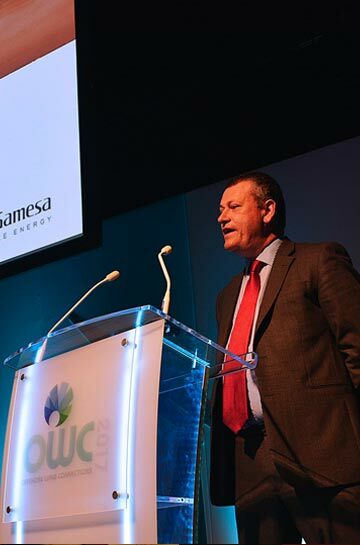 During his career he has been involved with offshore developments across the North Sea, West Africa and Australasia. His current role encompasses the management and delivery of the engineering function for oil and gas; power transmission; and marine renewable projects in the offshore environment. 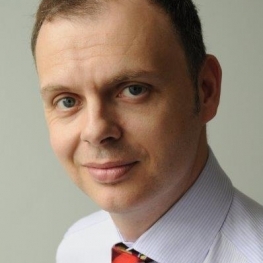 In addition to his primary business role, Keith provides valuable industry experience to Robert Gordon University as an external examiner and he is a guest lecturer for renewable and subsea engineering courses at the University of Aberdeen. John has been an Engineer within the Subsea, ROV industry for over 25 years. Initially working with the UK and overseas navies on remote control mine countermeasure ROVs and then for the past 17 years on the ROVs, Ploughs and trenchers used to support offshore oil and gas, submarine telecom and power cable installation. John has had a diverse career from working offshore, through to operations management, business development and now as director of seabed intervention for Canyon Offshore Ltd.
As Director Seabed Intervention, John is responsible for working with the senior management team to support the business’s strategy in taking its assets and services; supporting all things energy. 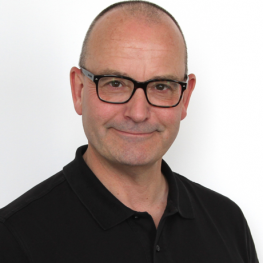 John is responsible for building relationships with current clients and strategic partners primarily in the North Sea and EMEA region - although his remit, just like the company’s equipment and services - extends worldwide. Offshore career spanning over 23 years. Previous role worked for VBMS/VSMC since 2010. Beginning as Offshore Construction Manager (OCM) of multiple cable/flex vessels, completing multiple European windfarms. His role expanded to encompass Project management, engineering tendering & commercials for VBMS. Peter Cherneski began his career in 1995 as Rov/ commercial diving in the Gulf of Mexico USA GOM. Spending 15 years on projects in Oil & Gas Subsea Umbilical’s Risers Flowlines (SURF) worldwide from shallow to ultra-deep water in full field developments in remote, deep, complex projects focusing on SURF. Peter joined the renewables industry bringing his expertise of oil & gas & SURF experience to VSMC. Based in Holland at the main office for 7 years, now regularly spreading his time between the new Westhills Aberdeen office and Holland main. Taking a practical, functional, and cost-effective view/approach on operations and projects, creating value added solutions for clients & stakeholders. With a professional track record of success in operations, QHSE and projects exceeding 250 million Euros. Now focusing on Subsea solutions, SURF (BSS), and renewables based on EPIC, Lump sum, and field development - including small and marginal fields in Europe/UK. VBMS, a subsidiary of Royal Boskalis Westminster N.V., specializes in subsea power cable installation, Balance of Plant maintenance for the renewable market, Advanced near shore intervention, industry leading cable and flexible repairs, Select SURF installation for the oil & gas market and installation of interconnectors. The company delivers added value with its robust end-to-end project management and multi-disciplinary grid-to-grid solutions. 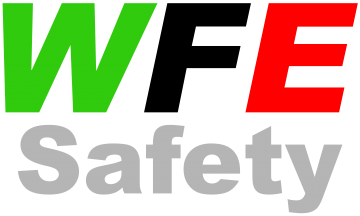 In addition, VBMS complies with strict European and international industry standards, reflected in a high QHSE ranking. VBMS provides quality services balanced with cost effectiveness, with a portfolio including major offshore developments in Europe and beyond. Royal Boskalis Westminster N.V. is a leading global services provider operating in the dredging, maritime infrastructure and maritime services sectors. The company provides creative and innovative all-round solutions to infrastructural challenges in the maritime, coastal and delta regions of the world with services including the construction and maintenance of ports and waterways, land reclamation, coastal defense and riverbank protection. In addition, Boskalis offers a wide variety of marine services and contracting for the oil and gas sector and offshore wind industry as well as salvage solutions. With a versatile fleet of more than 900 vessels and floating equipment and 10,700 employees, including associated companies, Boskalis operates in 90 countries across six continents. As BDM for Subsea and Renewables at James Fisher Marine Services [JFMS] Jennie champions the group's activities in the offshore and inshore sectors of Renewables, Tidal, Oil & Gas, Utilities, Civil Engineering and Nuclear, with a particular geographical focus in and around the United Kingdom and Western Europe. Her role is to take the lead in JFMS Subsea Division’s Commercial activities within the Tendering & Proposals process to ensure that opportunities are identified and secured and that profit and growth targets are met. Jennie has a Degree in Geophysical Sciences from the University of Leeds where she also achieved her PhD in Marine Geophysics. She worked with Fugro GeoConsulting for around 7 years and a year with EEEGR before joining James Fisher Marine Services in July 2017. 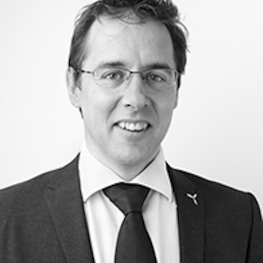 David Wells is a renewable energy expert with specialism in the offshore wind sector. His role focusses on driving innovation in the renewable energy sector and developing productive, collaborations between industry and the UK research community. David previously worked for leading IT organisations in the engineering and automotive industries providing High Performance Compute (HPC) and High Performance Visualisation (HPV) Solutions. Moving into the energy sector, David worked for a council, managing carbon output and promoting mitigation measures against the effects of climate change. 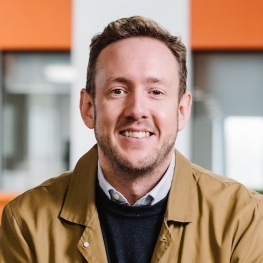 Since 2010 David has worked at the University of Hull, developing and managing the University’s collaborative relationships in the renewable energy and low carbon sectors. 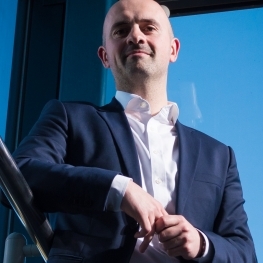 By working with industrial partners, he is helping to grow the University of Hull and the Humber region as a key hub in the global renewable energy industry. David is central team member of Project Aura and the O&M Centre of Excellence. He also manages the University’s responsibilities for delivery of the Research, Development and Innovation Strand of the Green Port Growth Programme. Owen is Team Leader for the Turbines section of the ORE Catapult Engineering function, based in Glasgow. 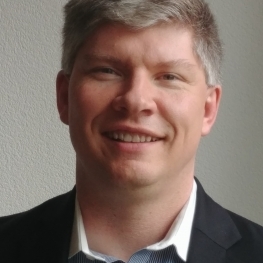 He has been working in wind power for over a decade and has delivered a diverse range of engineering, technical and advisory projects at all phases of the project lifecycle. He brings a broad knowledge of wind turbine technology and first-hand understanding of the practicalities of offshore wind operations and maintenance. He has been a driving force in the development of the ORE Catapult O&M modelling capability and technology demonstrations at the Levenmouth demonstration turbine. All tickets include access to the conference and exhibition on April 25-26, 2018. From East: Take A165 to Hull onto Freetownway, at Traffic lights turn left onto Ferensway, then at the next set of traffic lights go right onto Portland place. Hull Paragon Interchange has its own direct rail link from London provided by Hull Trains and runs several services a day from London Kings Cross. Virgin Trains also run regular services to Hull from London via Grantham and Newark North Gate. From the West, TransPennine Express deliver services via Liverpool, Manchester, Huddersfield and Leeds.